Some questions might be answered by this post from last year. How did you know the leukemia was back? 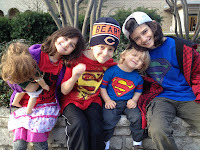 Sam had bone pain, similar to when he was first diagnosed. Blood tests confirmed that something was up, and a bone marrow biopsy made the diagnosis definite. Was this expected/normal/is this what happens? Sigh. Unfortunately, AML is the nastier kind of childhood leukemia. The relapse rates are higher than the more common kind, which has a longer treatment period but a much smaller relapse rate. The success with which Sam sailed through his four rounds of chemo did not have much to do with it, nothing really had anything to do with it. It's just yucky. Why bone marrow transplant? Can't you just do four more rounds of chemo? Sadly, no. The outcomes after relapse are not so good without transplant, they tell me. Dr. M, the BMT (that's bone marrow transplant in hospital-speak) King, has told me from the very beginning that this is Plan B. And that is is a very good Plan B. Even thought it is scary. Super-scary. How did you know that you have a match? Which kid? Because AML is so likely to need BMT (testing your hospital-speak here), they tested the whole family immediately following diagnosis. We just held onto the information but now we need it. We're keeping the identity of the donor a private family matter for a whole bunch of reasons. Are you on the Bone Marrow Registry? We sincerely hope so. We can't imagine what it would be like to be told that your child needs a transplant and there isn't a match. Please register yourself. You might save a life. Great question, one that I don't have a real answer for. 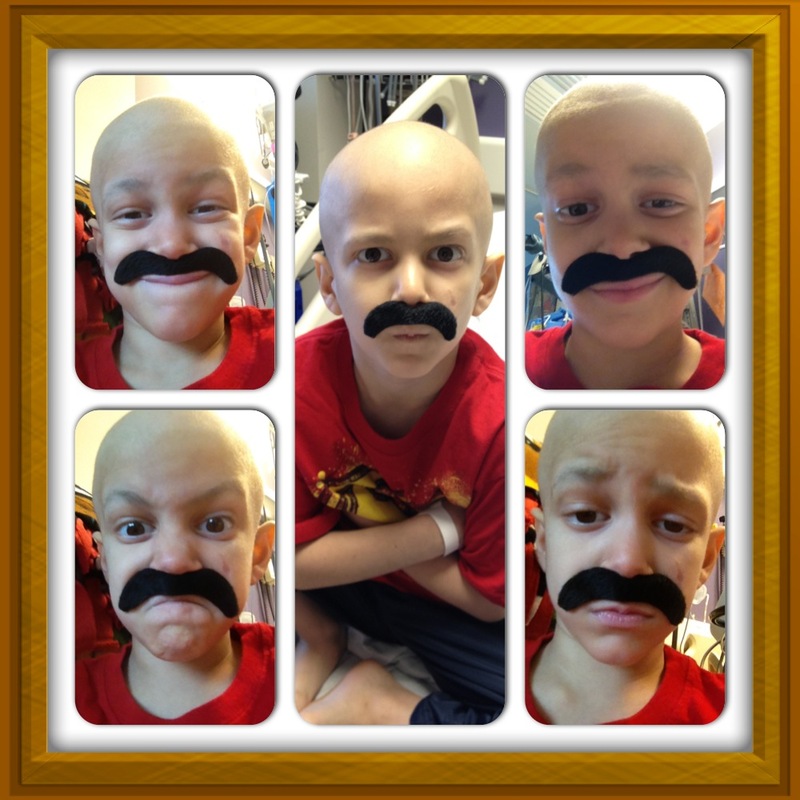 In order to start BMT, Sam needs to be in remission. 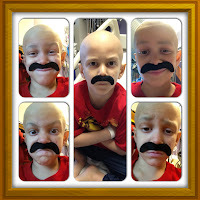 No leukemia present in his marrow. According to Dr. M, it has to be a "good remission." The definition of "good" is a talmudic one -- meaning that there are a variety of opinions. Dr. M and Dr. K, our oncologist, will duke it out and make the ultimate decisions based on what is best for Sam. It's probably one or two rounds of chemo before transplant. Transplant is a LONG process. Will you stay in Milwaukee? Do you need other opinions? Why Milwaukee? We are here in Milwaukee (even though we live in Chicagoland) by a series of events and we are very comfortable with our care and the team here. We have absolutely THE BEST doctors. People come from all over the country to work with this BMT team, like our friends from California. This is the place for us to be. And, it feels a little like Cheers. Ooh, it's kinda amazing that the cells just know what to do. I will have to explain more on this as I learn more and as we get closer. Trust me, it is incredible magic. It's traditional to offer Jewish prayers for healing using the person's Hebrew name, specifically his Hebrew name with maternal lineage. I have realized that while this might be traditional, it doesn't quite fit with our conception of equality -- so you will see Sam's Hebrew name at the top of the blog with both of his parents' names accompanying his. What can we do to help? Tell me more about Sam. Sam loves mail, with funny jokes or your favorite stories. He loves reading and stickers and crafts and drawing. He loves turtles and frogs and other creepy crawly animals (shudder). He plays DragonVale and watches Fairly OddParents. While we call this blog Superman Sam, he's not obsessed with superheroes. He just IS our superhero. A new project idea: Do you have a favorite book or story? We think it would be fun to post videos of yourself (kids too!) reading a favorite book or telling a favorite story to Sam -- you could email them to supermansam118 at gmail.com or share them with us on Facebook - Phyllis or Michael. There are lots of ways to help the organizations that are helping us. There are so many amazing people who are helping us out and you can contact our synagogues - Am Shalom (847-835-4800) or B'nai Torah (847-433-7100) to learn more. I'm new around here. What's up with the blog? Phyllis is a blogger (Michael is too! ), so blogging is comfortable for us. It's a way for us to share our story. If you'd like to receive these blog posts via email, just fill your name in at the top of the blog where it says "follow by email." The doctors are the tools of G-d.